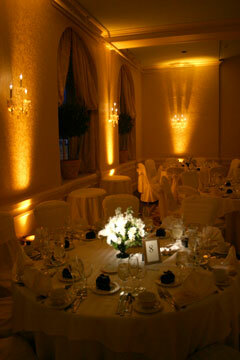 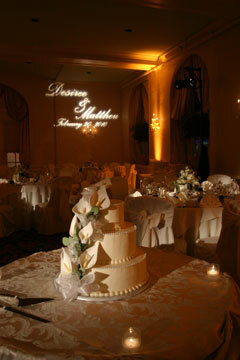 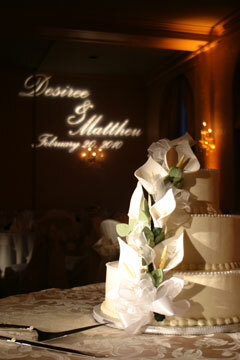 Here’s a few images of Desiree and Matt’s wedding at the Hotel Northampton last Saturday. 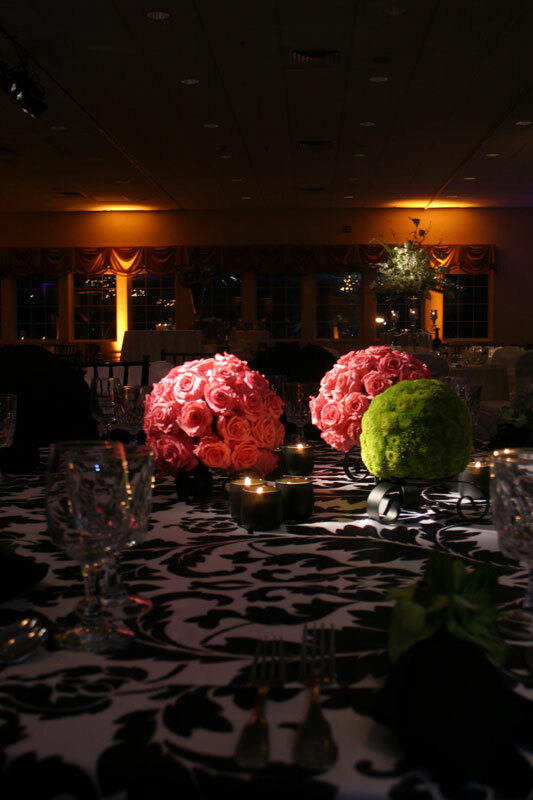 Our very popular conventional amber uplights lit the room with a romantic glow, while our pinspots highlighted the floral arrangements and the cake. 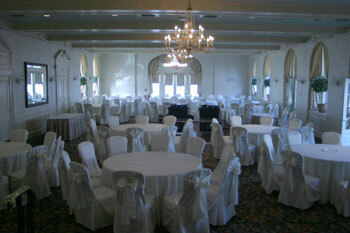 Check out the before and after shots! 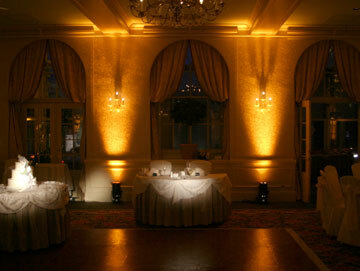 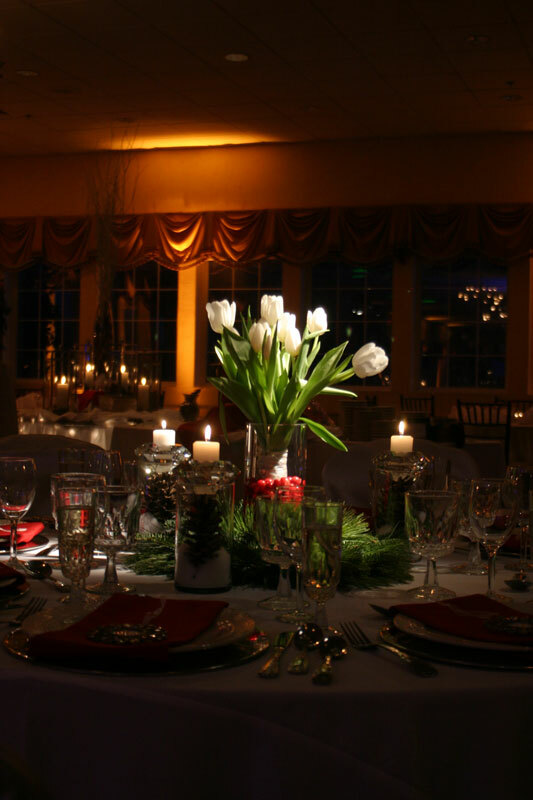 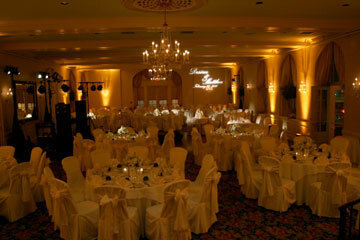 We had the pleasure of lighting both the panel and the main ballroom for this event at The Log Cabin. 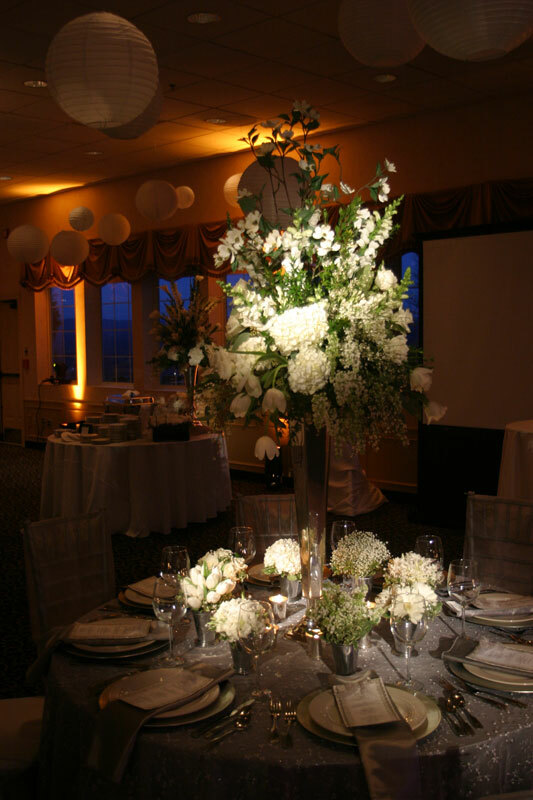 We selected Amber conventional uplights and hung 6 bars of pinspots from the airwall track with our airwall hangers to highlight the specialty tables.